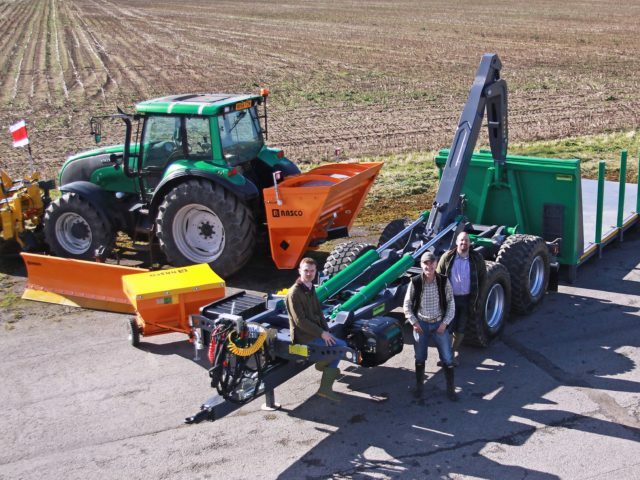 Whilst burning biomass for power generation has now become firmly established practice with many large scale industrial concerns, a similar take-up among smaller enterprises or even domestic users is so far much less common. 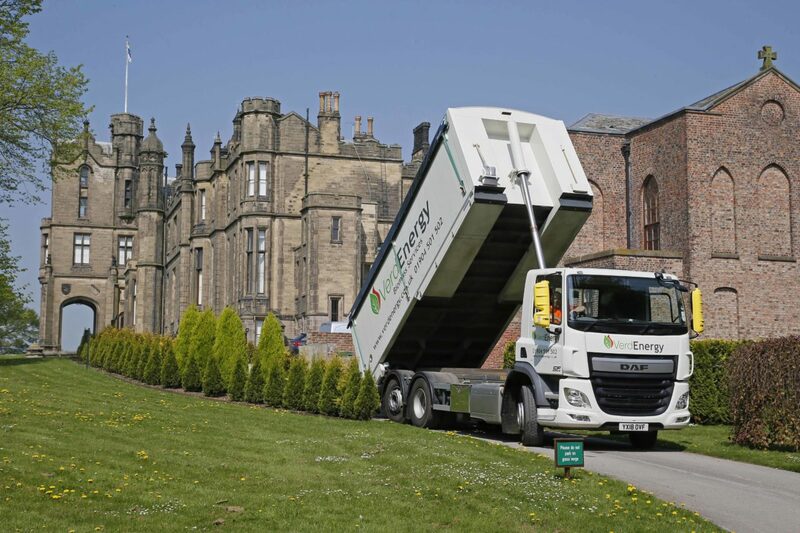 To address this issue, York – based Verd Energy has invested in a particularly interesting bulk tipper truck that can literally bring the benefits of biomass to this much wider marketplace. 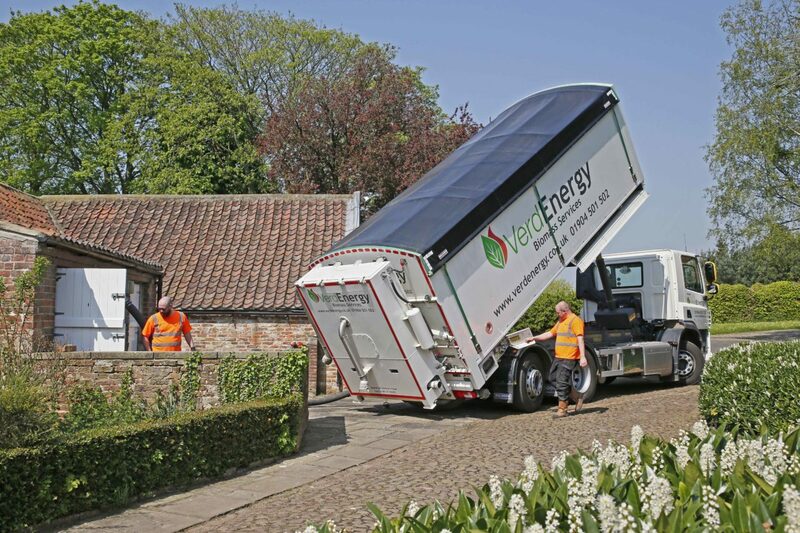 Based on a 26t gvw 6×2 DAF CF chassis, Verd Energy’s new truck offers exceptional operating versatility. Specified with a lifting and steering rear axle, the shorter effective wheelbase means that manoeuvrability is dramatically improved, thereby allowing the vehicle to gain access to more restricted premises that a conventional 8×4 would find either difficult or impossible. 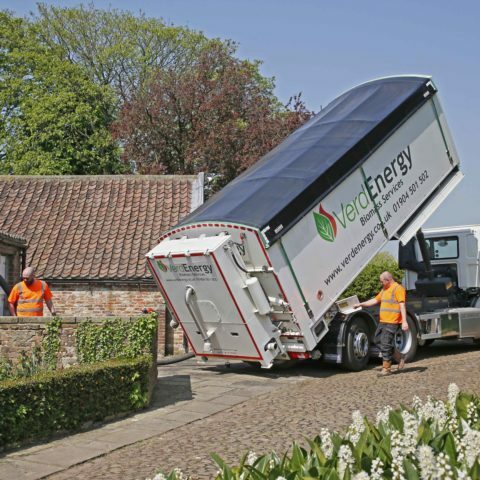 The truck also scores on high productivity too because it can easily carry the full amount of physical product that most of Verd Energy’s customers require. 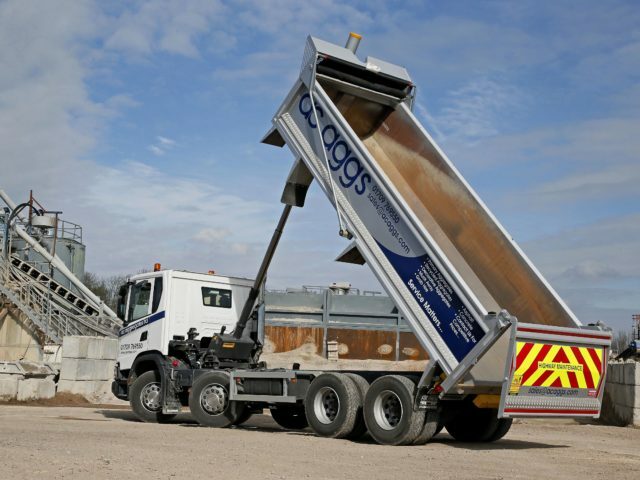 Built by Muldoon Transport Systems of Dungannon in N. Ireland, the high capacity smooth sided alloy bulk body has a particularly high specification, including a super – lightweight HARSH FE combined ram and tank tipping gear. 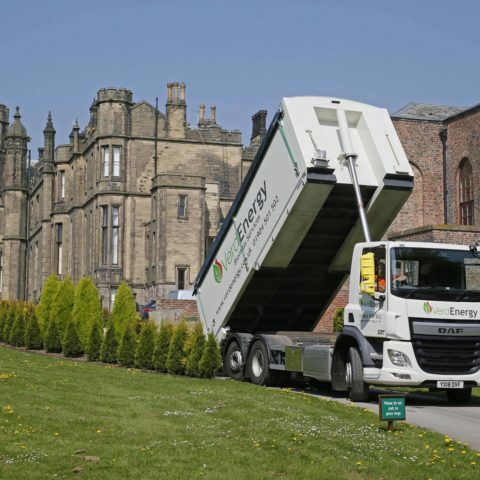 Specifically configured to discharge wood pellets, this particular Muldoon – built body also includes a Weights and Measures approved Legal For Trade (LFT) onboard weighing system that allows customers to be billed from the recorded weight of delivered product. The rear of the body is also equipped to carry Muldoon’s Demountable Vacuum System which, with its associated pipework, can clean out storage areas and silos as and when required. Aside from its short wheelbase / rear steer configuration the CF chassis is also interesting from another point too, namely its 400hp engine. 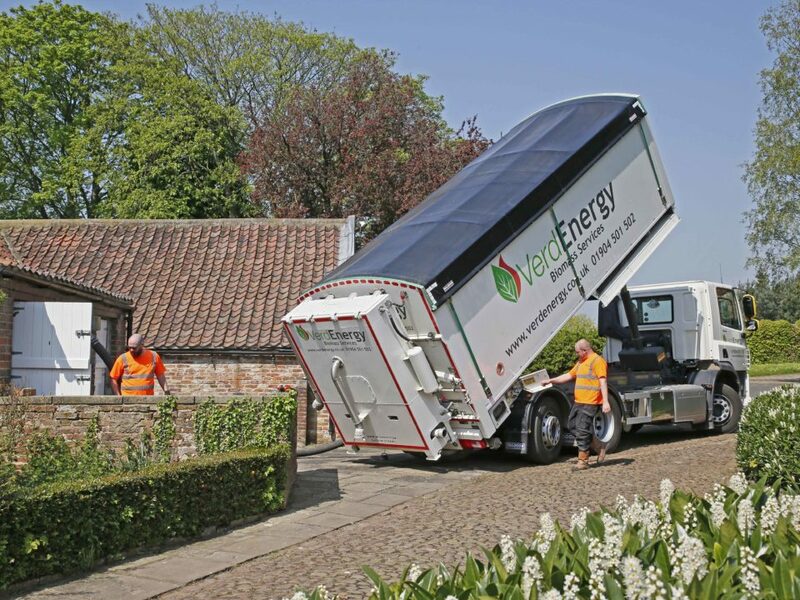 Verd Energy chose this option for its high power and torque outputs which allow a higher, rev-reducing rear axle ratio as well as reduced gearshifting – both of which improve the truck’s overall fuel efficiency and driveability. 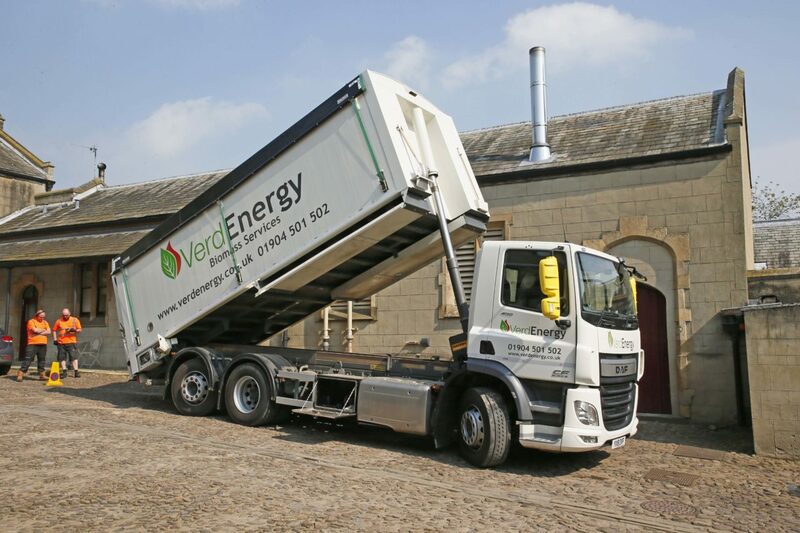 With depots in Tockwith (York), Goole and Richmond, Verd Energy is a premium supplier of biomass wood pellets and woodchip covering not just Yorkshire but also Durham and Teesside in the north and south into Lincolnshire. All the company’s biomass fuels are manufactured from renewable Forestry Stewardship Council (FSC) sources, thereby ensuring not just assured product quality but also a full commitment to responsible forestry management with long term environmental sustainability. 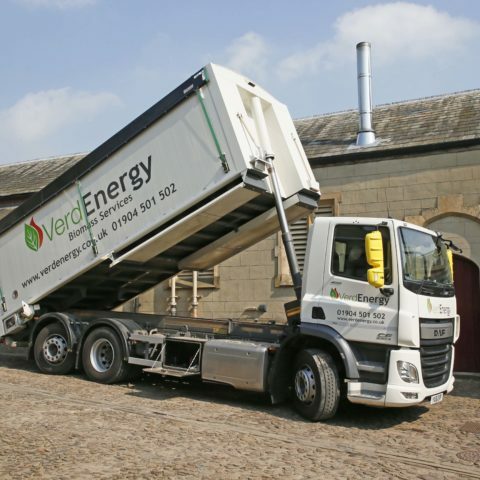 To further promote its products and services, Verd Energy also offers an in-house biomass consultancy providing a wide range of information and advice to help customers realise the maximum possible benefits from using biomass fuels.